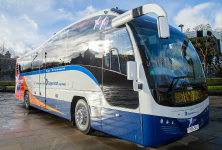 Stagecoach East Scotland have increased the frequency of service between Fife and Glasgow, including additional coaches operating into Forth Valley Royal Hospital and via Cumbernauld. The company is offering places on its Bus Engineers’ programme at depots in Perth, Glenrothes and Methil. The course begins in September/ October each year and applications are now being accepted. 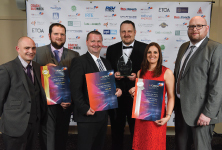 Stagecoach East Scotland has been recognised with a top honour at the 2017 UK Coach Awards.